Our Story PowerRealtors, Rick & Terri Cole, have been providing professional service with a "personal touch" together as a team for about 30 years each. We work hard to keep up with an ever-changing industry in an exciting market, and we help educate our sellers and buyers along the way. Our Mission Statement: We strive to treat people like we would like to be treated. We always make an effort to go beyond expectation and give quality service every single transaction, which has helped us maintain a Five Star Rating. 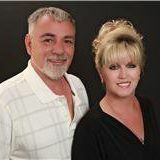 Read some of those reviews at; https://www.zillow.com/profile/Rick-and-Terri-Cole/ We are serving NW Harris County, Houston, Heights, Spring, Cypress, The Woodlands, Conroe, Magnolia, Tomball, Katy, Waller & Montgomery Counties areas. We specialize in listing homes, selling new construction, helping first time buyers, resale, foreclosures, short sales, properties & relocation services. We can help you decide what repairs or changes to make when selling and what to pick or avoid in buying that can leave your investment at risk. Real estate is one of the most exciting investments you'll ever make, and it should be a fun and rewarding experience. 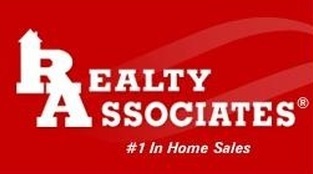 Call us today, 713.474.3237 to sell your current home or 713.410.4222 to buy a new one. We can help you with a new construction home, too. We are ready to serve you! For first time home buyers and other persons who qualify, our lender has FREE MONEY, and for the rest of you, they offer good competitive rates and closing costs. Text, call or email us today. Rick & Terri Cole, PowerRealtors, have been providing professional service with a "personal touch" together as a team for about 30 years each. Rick & Terri work hard to keep up with an ever-changing industry in an exciting market, helping educate sellers and buyers along the way. Rick & Terri Cole's Mission Statement: We strive to treat people like we would like to be treated. We always make an effort to go beyond expectation and give quality service on every single transaction, which has helped us maintain a Five Star Rating. Read some of those reviews below. Rick & Terri Cole are serving NW Harris County, Tomball, Cypress, Houston, Heights, Spring, The Woodlands, Conroe, Magnolia, Katy, Waller & Montgomery Counties and surrounding areas. Rick & Terri Cole, specialize in listing homes, selling new construction, resale, helping first time buyers, short sales, luxury properties & relocation services. They will help you decide what repairs or changes to make when selling and where to look or what to avoid when buying a home that could be too risky. Real estate is one of the biggest and most exciting investments you'll ever make, and it should be a fun and rewarding experience. Call today, . Rick & Terri Cole can help you with a new construction home, too. We are ready to serve you! For first time home buyers and other persons who qualify, our lender has FREE MONEY, and for the rest of you, they offer good competitive rates and closing costs. Text, call or email today. We Have the POWER TO MOVE YOU ! !